Looking back at the most searched recipes of all time on The Veg Life!, our vegan coleslaw tops the list. 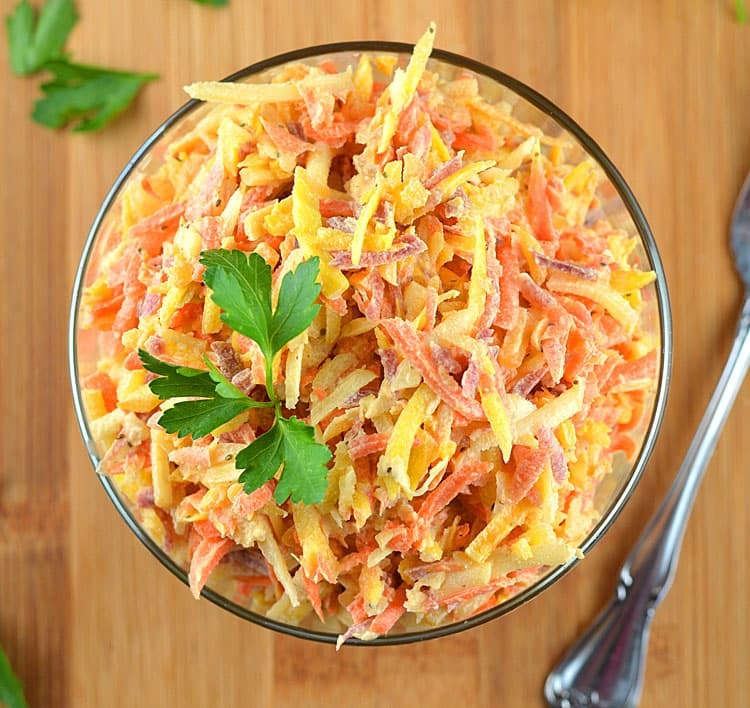 This Vegan Carrot Slaw differs in that we used a variety of sweet rainbow-colored carrots in lieu of the typical cabbage mixture. 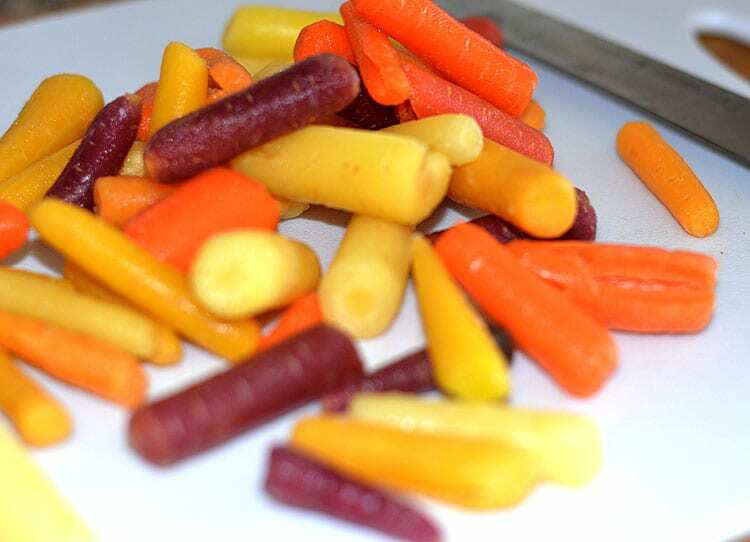 I typically buy the full sized rainbow carrots when I can find them, but surprisingly, my local grocery store had this mini assortment. 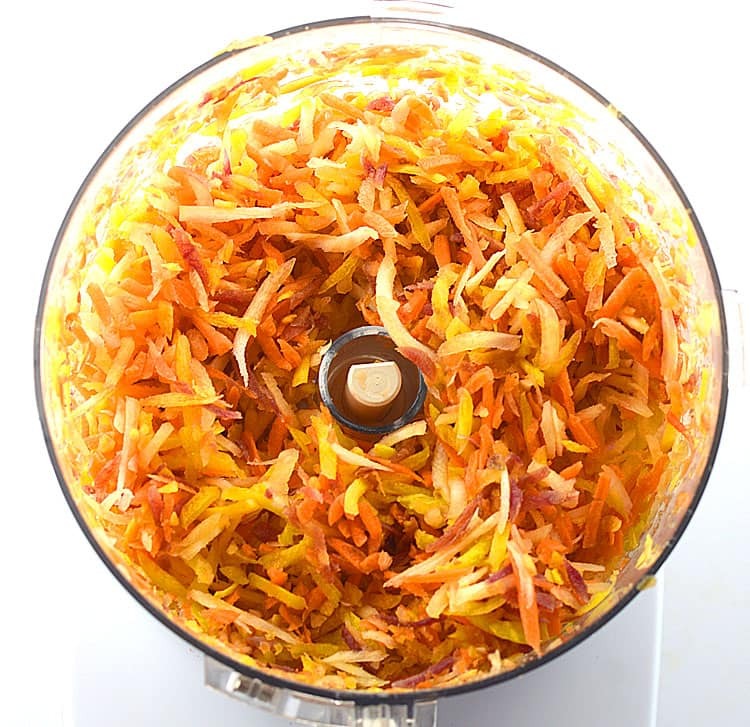 Perfect for making this Vegan Carrot Slaw! I simply ran them through the food processor using the shredding blade and this is what I got. I just love how colorful it turned out. But don’t worry if all you can find is the orange variety. 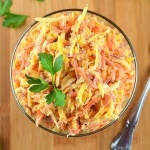 You can always add some color with red cabbage, apple or just use a packaged coleslaw mix. The dressing will work with all of them. The dressing also includes a splash of white vinegar, dry mustard, celery seeds, salt and pepper. My original Vegan Coleslaw included grated onion, but I personally prefer the sweetness of the carrots without the onion in this recipe. You could always opt to add them in yours. The secret to marrying all of the flavors is patience. I combine everything together, cover and refrigerate overnight. The taste is so much more complex the following day. 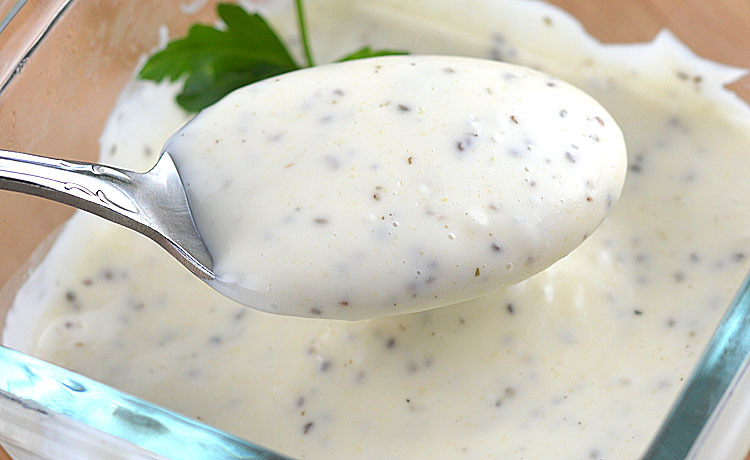 Combine all ingredients for the dressing with a whisk. Toss part of it with the shredded carrots. You may not need all of the dressing. It will loosen up, so it's better to go slowly. You can always add, but you can't take it away. I like to cover and refrigerate the slaw overnight so the flavors all come together and the sugar dissolves. Reserve any remaining dressing in case you need it the next day.